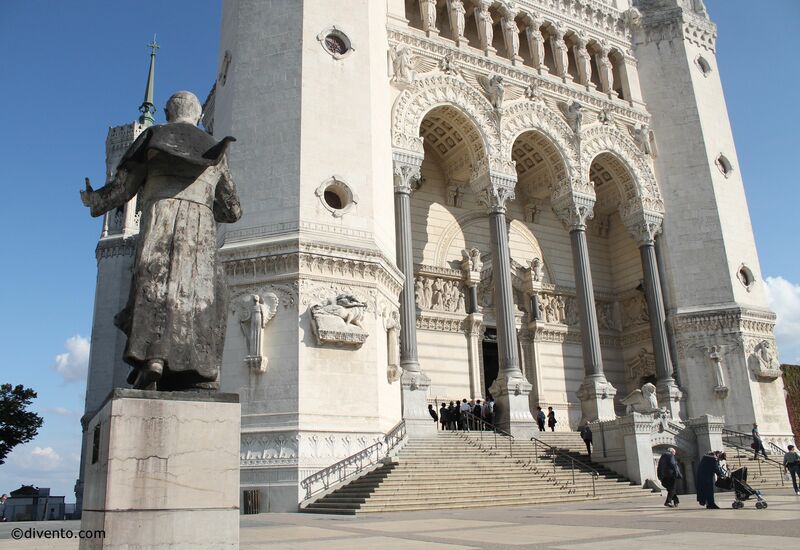 A stunning Basilica on Fourvière Hill that has been a spiritual symbol of Lyon for centuries. 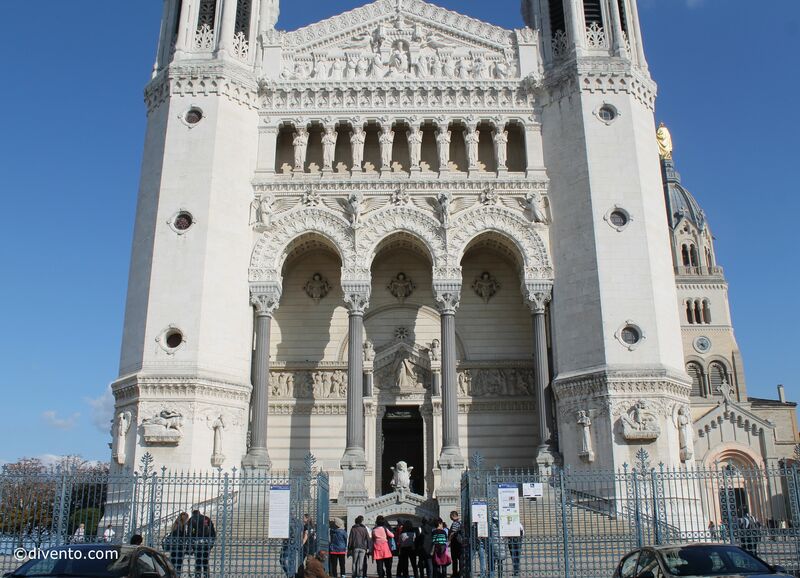 The impressive Basilica, on the Fourvière Hill, overlooks the city of Lyon and can be reached by the one of the world’s oldest and still active funicular railway lines. Throughout Lyon’s history, Fourvière - nicknamed the hill that prays - has been a cultural and spiritual symbol for the city. In 1643 when the Black Death swept Europe, it was thought that the Virgin Mary, to whom the Basilica is dedicated, spared the people of Lyon, and in return the city promised to light candles, which is a tradition that continues every December: the Fête des Lumières. The Basilica that we see today was built in 1872 after the Virgin Mary saved the city once again, this time, from the Prussian invasion in 1870. More than two million people climb up every year to see this UNESCO world heritage site and the spectacular view of the city, that on clear days extends as far as Mont Blanc. 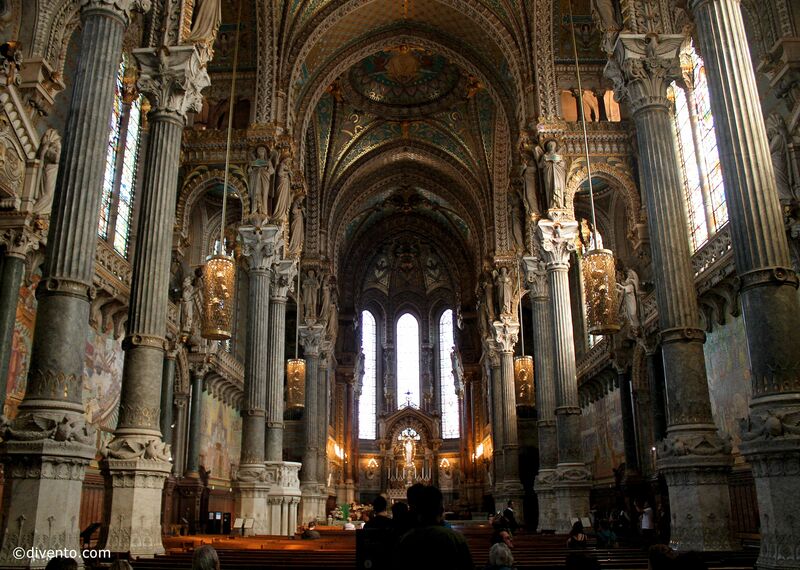 The Basilica is free to visit every day, and guided ‘discovery’ tours which take you through its history, also free of charge, are available at certain times. There are also paid tours that take visitors up to the Basilica’s roof and other hidden places: from June to September, every day, 14.30-16.00; April, May and October, Wednesdays and Sundays, 14.00-16.00; in November, Wednesdays and Sundays, 14.30-15.30. Prices: adults €7 / under 12 €4 / free for children under 5 and for the Lyon City Card holders.